Your message has been delivered to Dentaris and you will receive a reply within 4 hours. Are one of Quintana Roo’s most Established and Respected dental clinics with more than 30 years operating, with offices in Cancun and Playa del Carmen. Specializing in Oral Rehabilitations / smile makeovers including the the All on 4 Procedures,we surpass your expectations with warmth and innovation in dental esthetics and health. Dr Berron (The owner ) Is Assistant professor and course director of the Aesthetic and Implant fellowship, within the Prosthodontic department at the Louisiana State University, New Orleans. Dr Sierra Founder of the Implant department at UNAM Mexico's most respected Universities (published author, President of numerous associations and scientific research organizations)President of numerous associations and scientific research organizations) Professor of more than Fifty (50) Lectures in United States mexico, Chile, Panama, Ecuador. 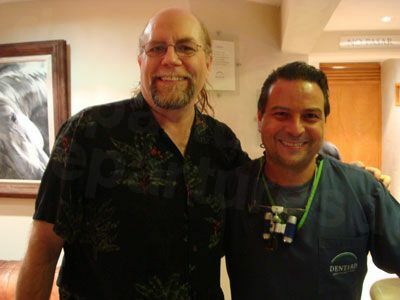 Dr Bertran (Playa Del Carmen) Highly Respected professor of Dental Anatomy and Integral Odontology at the University Intercontinental. Now focusing on prevention,Prosthetic, Operative dentistry, Implant surgery and Implant Rehabilitations. Dr. Lazio (Prothesis UNAM) , Dr. Navarro (Cosmetic Intercontinental), Dr. Salcido (Orthodontics, Pediatric UNAM) all highly Accomplished doctors in their specialized fields. Our highly-skilled professionals have Over 70 years combined experience and are able to offer our patients a full range of dental care, from Complicated Dental Implant cases, Cosmetic dentistry, General dentistry. We deliver the highest-quality and Patient care. 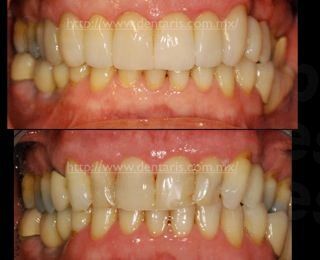 At Dentaris we believe the appearance of your smile goes hand-in-hand with your overall Oral health. Utilizing modern technology and Continued Education we can solve problems such as tooth discoloration, crooked teeth, gaps or severe Tooth loss smile. 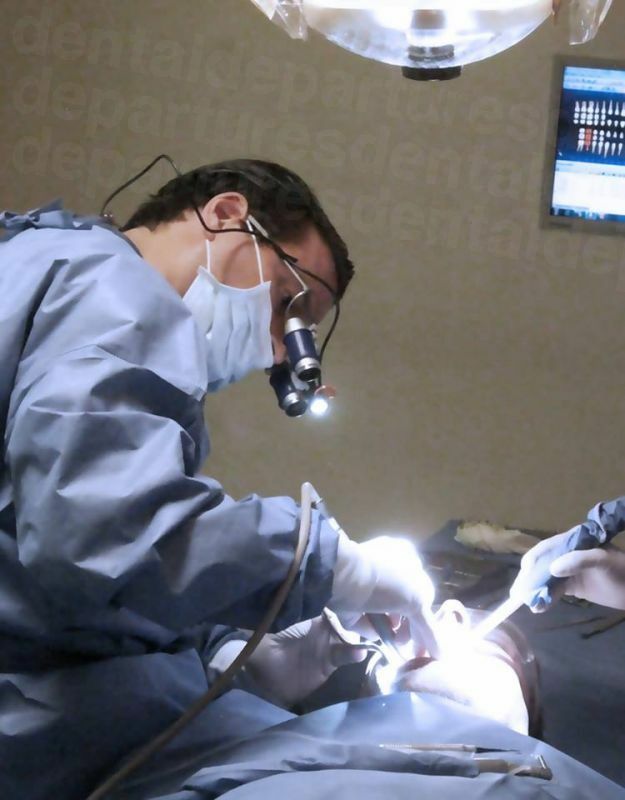 Our restorative dentistry techniques can heal smiles that have deteriorated because of damaged teeth due to bad habits or injury. Our modern offices provide a relaxing environment for your dental care, along with our kind, English-speaking team. We have certifications with a number of international organizations, including the American Dental Association and the International Congress of Oral Implantologists, and we maintain strict standards of hygiene and infection control. At Dentaris we believe we can make a difference to your oral health and your smile. Please contact us to discuss your situation and see what we can do for you. We are able to offer nearly all Dental Specialities because of our Resident team - We do not contract outside doctors. Transportation- Have you picked up from your Hotel and brought to the clinic and returned on all visits not just initial consult. Dedicated patient liaison/ coordinators all whom speak fluent English will be at hand to be your guide. 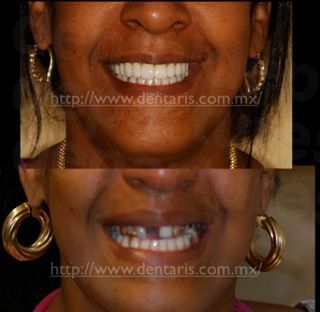 View the dental prices and dental treatment durations of Dentaris , in Cancun, Mexico. You can view Dentaris 's prices in 21 different currencies: you will always know how much you will pay for dental care at Dentaris in your home currency. Learn the number of days you will need to visit Dentaris to receive your dental care by looking at their treatment durations. 7 days are required for 1-5 crowns, 7 days required for 6+ crowns, and 10-15 days for full mouth crowns. 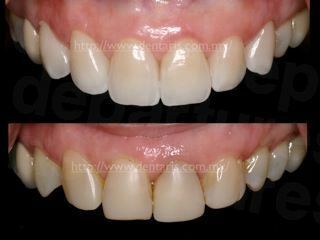 7 days are required for 1-5 veneers and 7 days required for 6+ veneers. If NO extractions are first required 5-7 days are needed for completion, if extractions ARE first required, 5-7 days are needed for completion. Please note that in order to be a candidate for implants, ideal bone condition is required, and should bone grafts and/or sinus lifts be required for implants placement, additional time may be required. Inquire further for your case. 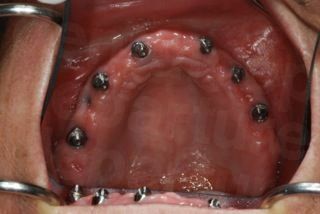 First stage of implant placement: 5-7 days. 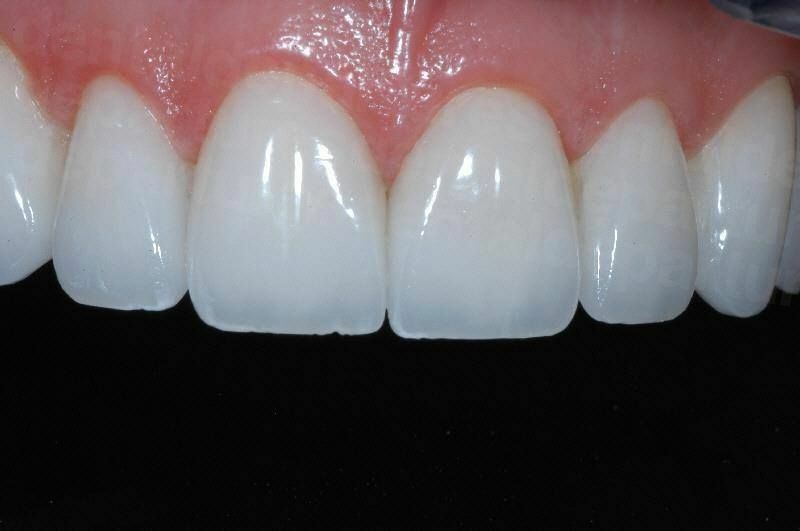 Second stage, placement of permanent restorations: 7 days. Please note that in order to be a candidate for implants, ideal bone condition is required, and should bone grafts and/or sinus lifts be required for implants placement, additional time may be required. Inquire further for your case. 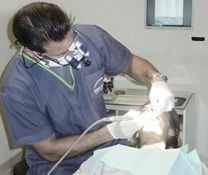 Root canal treatment time can vary based on prescence of infection on the tooth. For a root canal and temporary crown/filling 7 days are required. For a root canal treatment including the post & core build up and permanent crown restoration,10 days are required. Root canal treatment time can vary based on prescence of infection on the tooth. Inquire further for your case. For a root canal treatment, including the post & core build up and permanent crown restoration, x days are required. Root canal treatment time can vary based on prescence of infection on the tooth. Inquire further for your case. 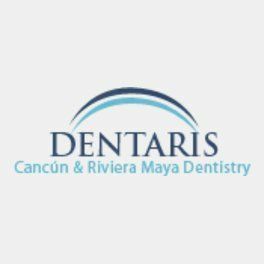 Read real reviews from real patients of Dentaris , in Cancun, Mexico. Dentaris has achieved a star rating of 5 based on 9 reviews. If you are a past patient of Dentaris please click the 'write review' button to provide your review for others to read. Writing a review for Dentaris will only take 2 minutes to complete. Dr. Berron is an excellent dentist. I was on vacation from Chicago and had the most horrible toothache. I was scared to death to go to the dentist in Mexico. Our hotel highly recommended Dr. Berron, I had a abcessed tooth and needed a emergency root canal. I felt like he saved my life, and I could enjoy my vacation. 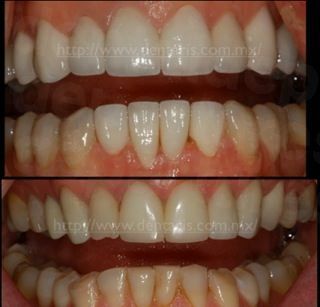 I would highly recommend him to any US tourist that is in Mexico that needs a high quality dentist.While I was in the office I saw samples of his cosmetic dental work and was quite impressed. So we are flying back to Cancun to have Dr. Berron work on my teeth and make me Veneers. I contacted Dentaris asking who they would suggest for complicated root canal. I needed a root canal in a molar which had a crown and had 2 previous abscesses. I was referred to Dr Mario Bertram. I was very impressed that Dr Bertram did not immediately agree to do the procedure. Only after an x-ray, history and exam did he agree to do my root canal. The procedure went exceedingly smooth, including the re-construction of the crown. I truely believe Dr Bertram was the most skilled Dentist I have dealt with. I tripped on an uneven sidewalk and did a face plant. I thought my teeth were ruined beyond repair. Over the course of ten months I had extensive dental work done by Drs. 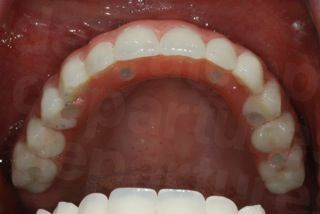 Arrechedera and Berron, including extractions, root canals, bone grafts, crowns, bridges and implants. I've never had more than minor discomfort from any of these procedures, and the end result is amazing! My teeth are far better than they were before the accident. Dr. Arrechedera is an artist who isn't satisfied with anything less than perfection. 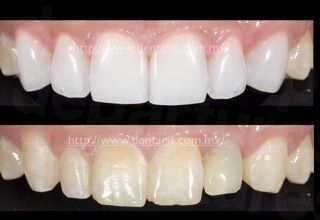 I am delighted with the work these superb dentists have done for me, and the price has been very affordable.The staff at Dentaris, headed up by Alejandra Moreno, is professional, friendly, and helpful. I can't say enough good things about this whole team. I am recommending Dentaris without reservation to all my friends and family. 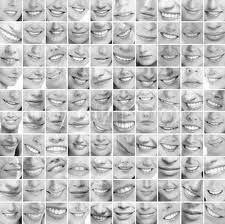 I want to thank Dr. Joaquín Berrón ( most handsome Dr. of Cancun), the teeth have left me a beautiful smile and accurate for my face shape, really is a dentist who has bothered to study to make their patients happy. A thousand thanks. I come from Dallas, Texas just to see him, that I leave my perfect teeth.